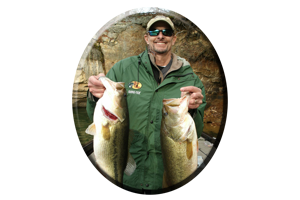 The spots are getting bigger as you head down to the last impoundment on the lower Coosa River chain. 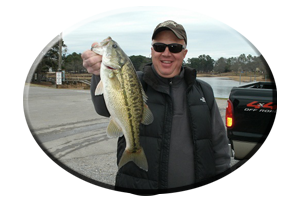 Jordan Lake – noted for some of Alabama’s biggest spotted bass – surrenders trophy, line-stretchers each winter, with some exceeding 8 lbs. 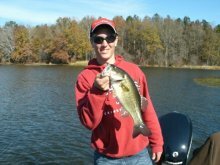 Many of these Coosa River native bass are caught near the lakes headwaters on previously mentioned lures. But a lot of these hefty spots are caught along the river type banks that are 5-10 miles down river before the lake begins to widen. Deep, rock bluffs have secondary ledges, broken-off banks, or washed-in underwater debris that attracts schools of both spotted bass, stripes and largemouth’s. Explore the bluffs on the deeper outer river bends first. When combing the lake in this upper terrain fish the mouths of the many small cuts and pockets that are adorned with miles of stump rows, standing timber and aquatic weeds. 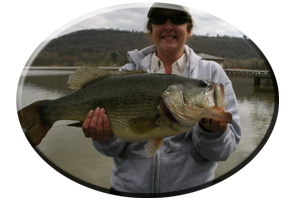 Deep-diving crankbaits and rattletraps fan-cast across the two points leading into these out-of-the current areas will determine any active bass that may be shallow. Suspended bass can be caught in this same fashion casting out from these areas away from the bank. 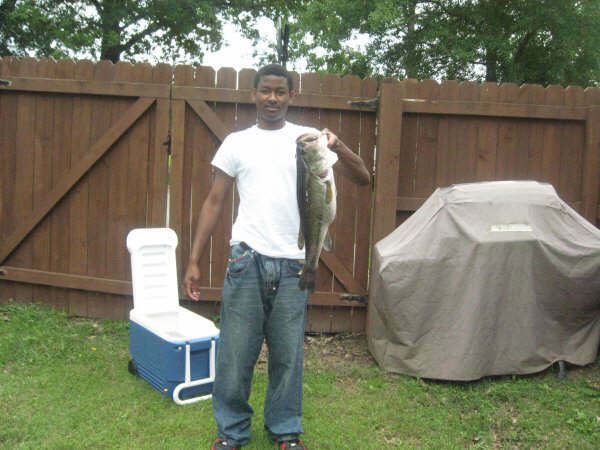 Parallel casting the main river bank and just inside the mouth will also pick up bass other anglers fail to entice. 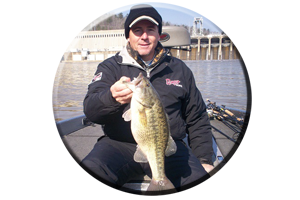 When a few bass are fooled into striking active lures, re-work the area and slowly probe the bottom. Pay close attention to the depth bass are holding and duplicate this tactic in similar areas. 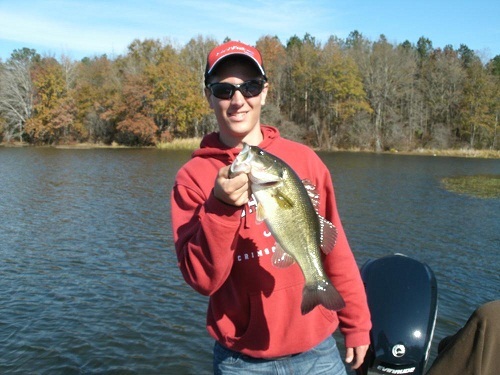 Current or the lack of current, including wind and cloud cover and the availability of food, are just a few of the many factors that will determine the days holding depth for these bass on Jordan Lake. 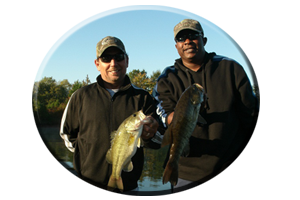 Even these factors and conditions can change many times during the day when conditions move bass either shallower or back to deep water. 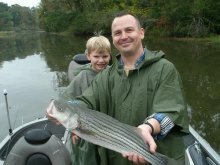 * Or you can call always call on Reeds Guide Service (205) 663-1504 for fishing Jordan lake or any Alabama lake, year round!